A Data Health Assessment (DHA) profiles and analyzes the quality and integrity of your master data (e.g. materials, customers, vendors, financial, etc.). A DHA visualizes the existing, “as-is” state of your data quality… completeness, consistency, conformity to standards and duplicates. The report then summarizes the impact that poor data has on your business and recommends next steps to achieve measurable data and business metric optimization. The analysis process can be conducted across multiple domains that may involve datasets for customers, vendors, materials and finance types of information. Gain insights into the existing as-is state of data quality metrics. Identify the degree of conformance of data to internally defined business rules. Review the likely business impacts of data quality issues on business processes and system interfaces. Devise a plan of action on data cleansing and remediation program. Define a roadmap for ongoing data health assessment based on the company’s strategic objectives and data governance charters. Utopia has proven expertise in helping clients uncover the key pain points as part of the data profiling exercise. You have the advantage of leveraging the existing environment of Utopia for data profiling projects, along with access to a seasoned profiling team that emphasizes the quality of the desired outcome. 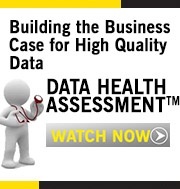 Want to conduct a data health assessment? Contact sales@utopiainc.com for more information.